Oreo Fluff Pie is an easy no bake pie recipe with Oreo crust and full of Oreos, pudding, and marshmallows! It’s a fluff salad in a pie crust! I know I announced this in my newsletter, so most of you have probably already heard about it. BUT…in case you don’t read my newsletter…I started another blog! Anyway, EasyGoodIdeas.com is going to be full of just that: easy good ideas. Sometimes they’ll be recipes, other ideas will include parties, printables, crafts, travel, and more. I’m using it as a creative outlet for things that I don’t post on Crazy for Crust. Sometimes stuff will overlap a little, like this Oreo Fluff Pie, but mostly the sites will be completely different from each other. I hope you’ll follow along! One of my first posts over on EGI was Oreo Fluff Salad. I loved that recipe so much (we inhaled it within a few days) that I knew I wanted to turn it into a pie recipe. Oreos are always a hit on this site, no matter what I put them in (like…cake rolls or brownies or peanut butter cookies). Oreo Fluff Salad is an easy recipe made with pudding, Oreos, whipped topping, and marshmallows, so I knew it would be the perfect thing to turn into a no-bake pie. That’s another thing that always does well here on Crazy for Crust: no bake recipes, especially pie. A few years ago, I made a Skinny Oreo Cheesecake Dessert, which was basically weight watchers Oreo Fluff. This is like that recipe…but not weight watchers. Not even close! And yes – I did try a bite of this pie. And it was GOOD. And I had to get it out of my house immediately or I would have eaten it all while binging Timeless. When I was thinking about making this pie, I realized I had a leftover Oreo pie crust in my pantry. I’d bought two when I made my Chocolate Peanut Butter Pie, just in case one broke. It was perfect: I didn’t feel like making an Oreo Crust from scratch, so I went the semi-homemade route. Feel free to make your own crust if you want! The filling is just like you’d expect from a Fluff Salad recipe: pudding mixed with Cool Whip, Oreos, and marshmallows. The marshmallows and Oreos help give the pie body so it does hold together. 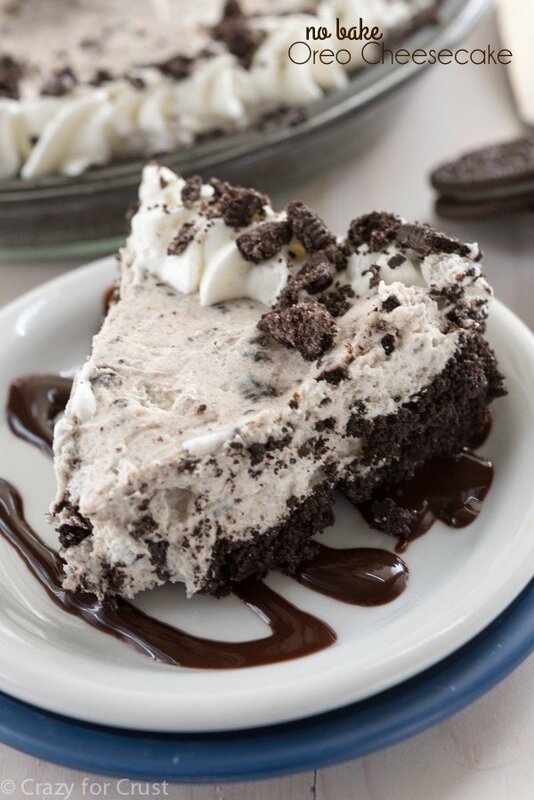 This pie is very reminiscent of my Oreo Cheesecake recipe, except it’s not cheesecake. It’s salad in pie, remember? 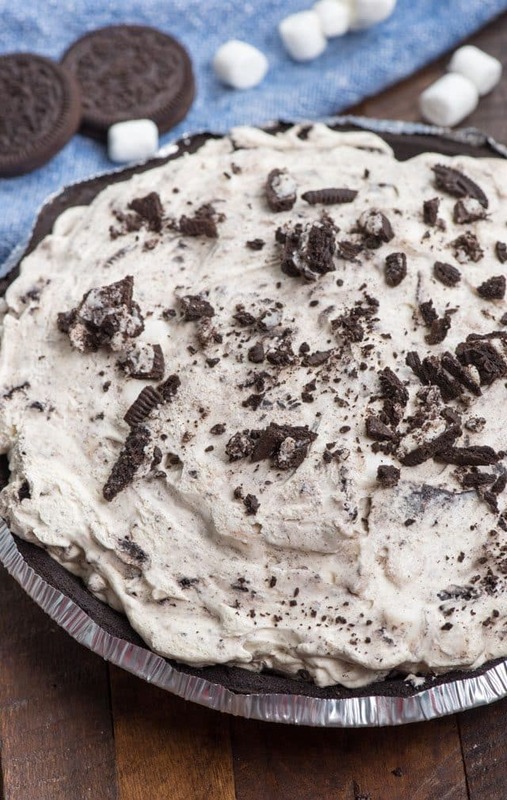 Oreo Fluff Pie puts Oreo Fluff Salad in a pie crust. It’s the perfect no bake pie recipe! Be sure to chill it a few hours before slicing to ensure it sets. Store it in the refrigerator for up to 3 days. Want a Golden Oreo Fluff Pie? Simply substitute Golden Oreos or any flavor Oreo! 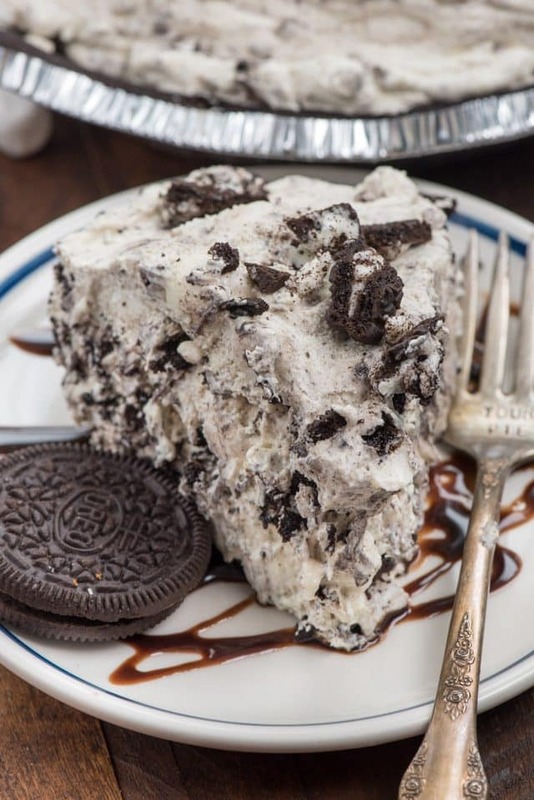 Oreo Fluff Pie is an easy no bake pie recipe with Oreo crust and full of Oreos, pudding, and marshmallows! 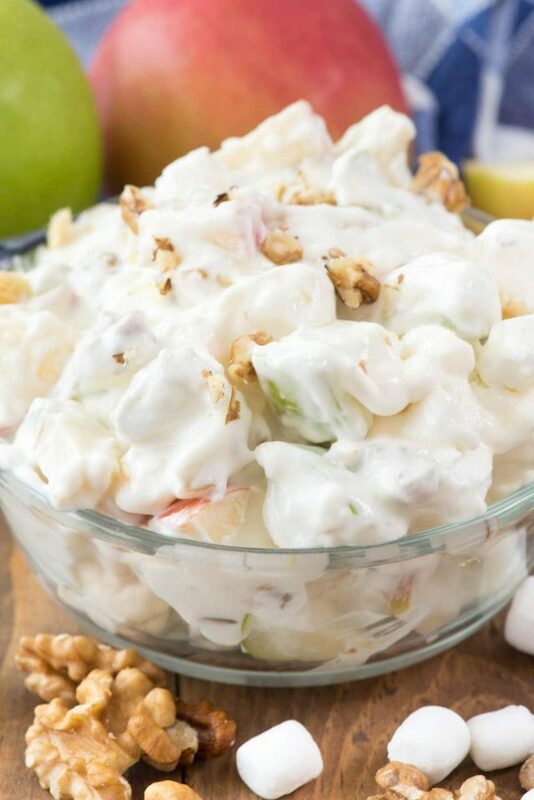 It's a fluff salad in a pie crust! Whisk together pudding mix and milk. Let sit for about 3-4 minutes, or until soft set. Fold in Cool Whip. Add chopped Oreos and marshmallows. Stir to combine. Place in prepared pie crust. Pile it high; you may have some filling left over. Cover and chill for at least 3 hours before serving. Store in refrigerator for up to 3 days. 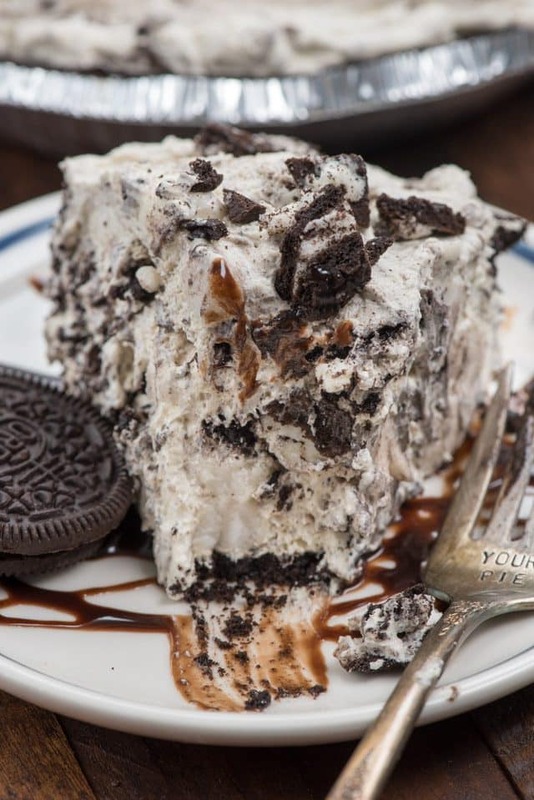 No Bake Oreo Cheesecake is like this fluff pie but with cheesecake! 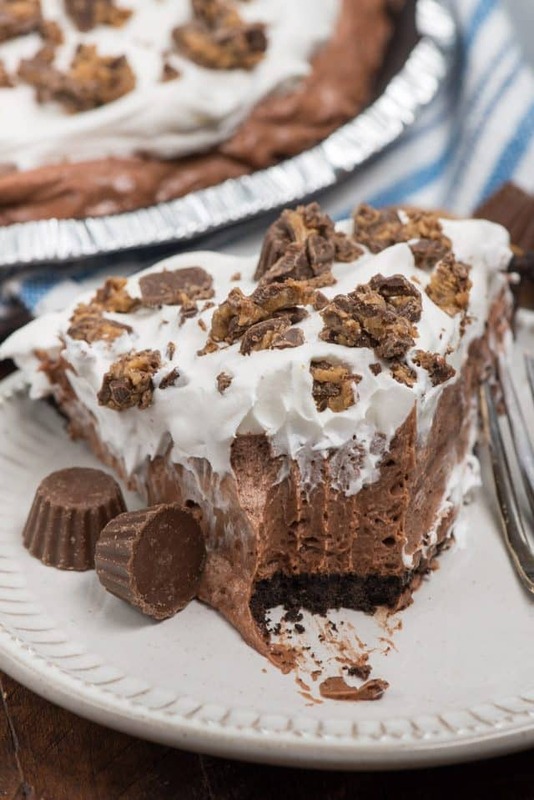 No Bake Peanut Butter Chocolate Cream Pie has an Oreo crust! This looks like just the thing to eat while watching Timeless. Don’t you love it (the show…and the pie)? I’m a sucker for anything Oreo. And this looks divine! No-bake recipe is the best in summer. Thank you for sharing! Can’t wait to try it.